PA Particle Field 1.1 added support for custom materials/shaders, letting you create your own shaders to use with Particle Fields. If you’re used to writing shaders hopefully this will all be relatively clear and easy, but I’ll try to make this tutorial work for everyone. To use a custom material on a Particle Field choose “Custom” from the material type drop down. This reveals the custom material slot where you can drag and drop a material. The material you use must use a shader that is compatible with the PA Particle Field system, this tutorial will explain how to write one. Start by creating a new shader by clicking the Create menu and choosing Shader, give it a name and open the file. Unity will have by default created a surface shader, replace this default shader code with a vertex/fragment shader using the commented template below. This very basic shader just colors the model red. PA Particle Field comes with its own .cginc file containing the methods used to simulate the field, to use these the .cginc must be included along side the “UnityCG.cginc”. For shaders that just require different fragment program PA Particle Field can use a pre-built vertex program and data structure from “ParticleField.cginc”, this is all thats needed to make a shader compatible with PA Particle Field. 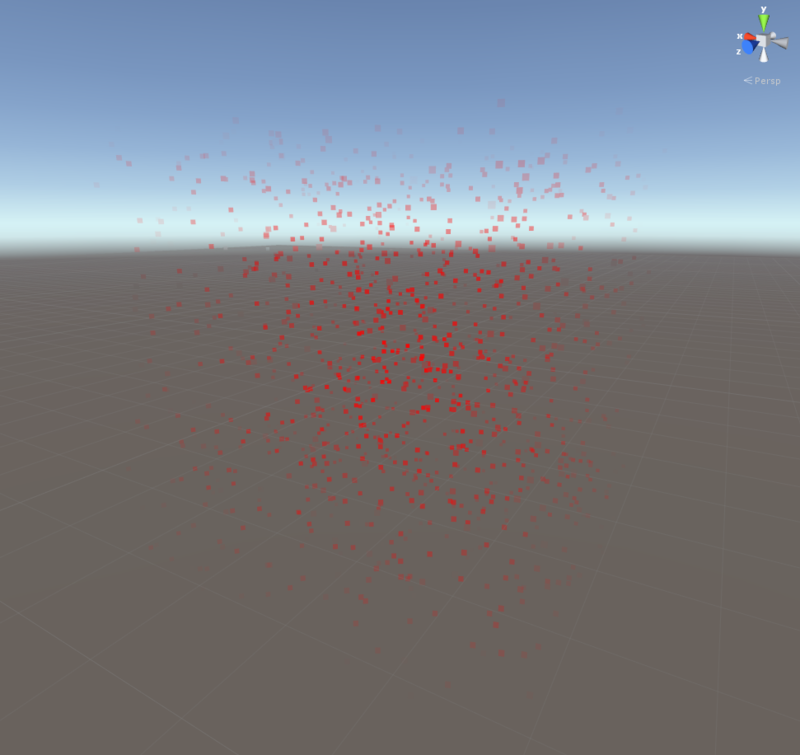 The shader below is compatible with PA Particle Field, and will simply color the particles red. 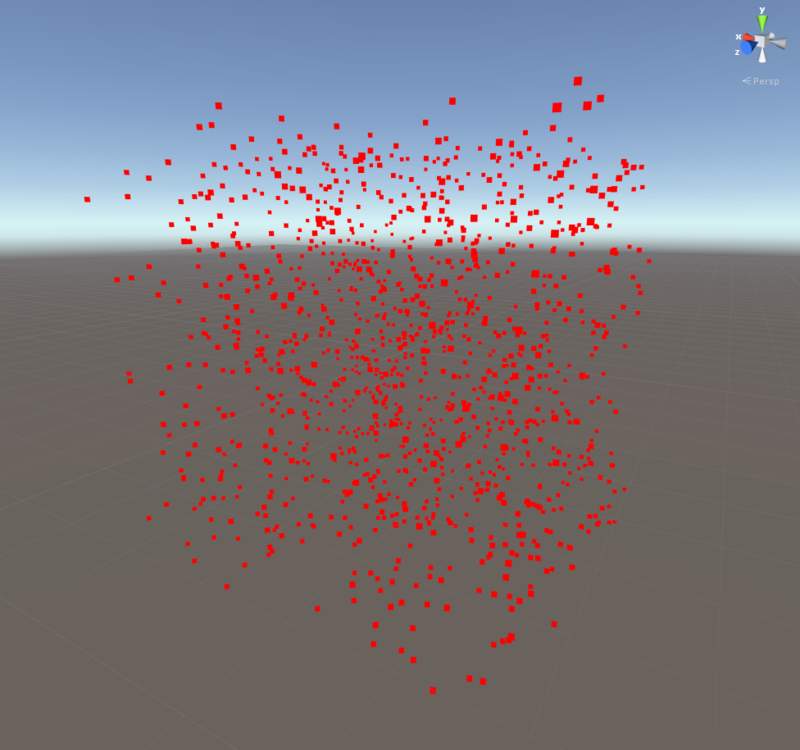 Create a new material and apply the shader to it, then assign the material to the custom material slot on the PA Particle Field, the field should turn red. Adding all the multi_compile instructions will allow this shader to use the full feature set of PA Particle Field, if there are any features not required (like spin for example) it might be worth removing those instructions to reduce shader size. Now the shader is fully compatible the particles can be made to fade at the fields edges using v2fParticleField’s color.a property. //use the vertex program defined in "ParticleField.cginc"
A shader might be required to modify a vertex position or manipulate additional data in the vertex program, this is also supported by ParticleField.cginc. The method PAParticleField(inout appdata_full) can be called from within a vertex program to apply the modifications Particle Field makes to the vertices of the mesh, modifications are made directly to the input data struct and the method returns the position of the pivot of the particle. Other instructions can be included before or after calling this method such as texture transforms or vertex displacement. Finally the vertex must be positioned in view space which will either be Model-View-Projection or View-Projection depending on whether the field is using local or world space simulation, this can be done using the PAPositionVertex() method. The shader below uses a vertex program with a different data structure that applies a sine wave to the y position of the vertices based on _Time and the particles x position. Hopefully it’s quite clear that using these methods can produce very customized effects, future demos will also contain examples of these kinds of fields to really show off the field’s flexibility.